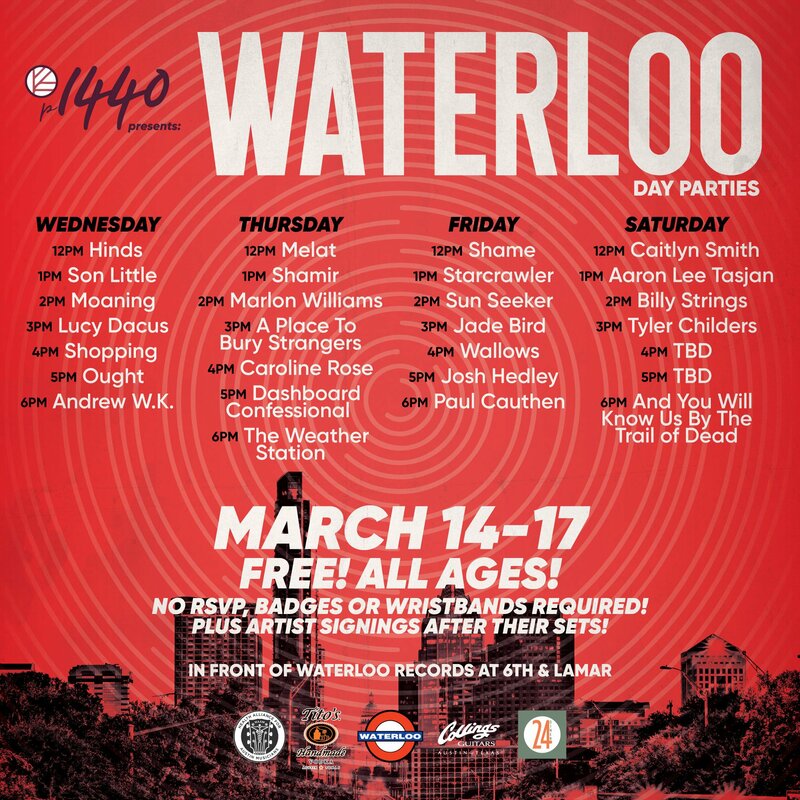 Waterloo Records is back again with their annual 4 day takeover of their own front yard. Starting Wednesday of SXSW you can look forward to performances by the beautiful and hilarious Hinds, Son Little, Moaning, Lucy Dacus, Shopping, Ought, and Andrew W.K. finishing out the day. Thursday the lineup includes Melat, wonderkid Shamir, Marlon Williams, A Place to Bury Strangers, Caroline Rose, the rise of Dashboard Confessional, and The Weather Station. Friday starts off with Shame, Starcrawler, Sun Seeker, Jade Bird, Wallows, Josh Hedley, and Paul Cauthen. And finally Saturday Caitlyn Smith, Aaron Lee Tasjan, Bill Strings, Tyler Childers, 2 TBD performances, and finishing off with local favorites And You Will Know Us By the Trail of the Dead. Get all the information below! As always there is no RSVP and you don’t need any badges or wristbands. This is a staple among some Austinites so try to show up early!